Back to Battipaglia is a project strongly supported by the Pro Loco of Battipaglia and the Rotary Club to tell the story of the city and enhance the “quality” of Battipaglia. The brainchild of Guglielmo Francese, the project has found the unconditional support of many friends, Vincenzo Cestaro Rotary Club, Carlo Bruno writer and director, Pia Lanciotti, families Rago, Jemma, Sorvillo to name a few but the list is much longer and this site pays tribute to the many who gave their contribution. 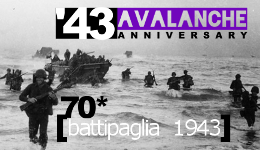 A repository of knowledge about Battipaglia that will grow over time. This site would be an experience to tell the incremental construction of the project on a day-to-day and, as the documentary, will increase day by day information and documents that tell not only the experience but will remain as a compendium of knowledge about the city. We hope that many other friends help with their memories, their knowledge, photos, movies and family something that will tell the story of the New Town. The story of the Excellencies of the city. Every single brick is built on this achievement sees the contribution of someone who has benefited from this part of the city on personal experience, those who are born, you live or who you will return so often to have found a small second source of suffering . From all the crew, musicians, singers up to the actors and authors, all have crossed your life with this city and represent well the ability to produce culture in a city like ours, just chase, believing, the their dreams. The title is a quote from a documentary made in 1969 by Luigi Perelli from Unitelefilm to keep alive the memory of the tragic events of April 1969. That documentary fotografòlo state of a city apparently stops at the time when those facts matured. The history has taught us that this was a crisis of growth, or the realization that he was ending the cycle industry assisted by the State and that it was necessary to roll up their sleeves. That April is not spelled the end of Battipaglia but a new beginning and a duty is a tribute to Carmine Citro and Professor Ricciardi whose sacrifice helped greatly to the construction of a new future.